Fix Watch Dogs 2 Errors: Crash, Launch, Performance and Other Issues. Watch Dogs 2 has put the gamers all over the world into the craze with its release in the past month. With the first part of this series being a huge success, the hype of this game has been increasing ever since. After its trailer release, it took the internet by storm and has proven to impress all the gamers worldwide who were not so happy with its first part being a performance mess and disappointed all the fans. But Ubisoft, the makers of the game seemed to be committed to providing quality Games for all and they were back with the Watch Dogs 2. Watch Dogs 2, is a fantastic game loaded with best graphics and designed with a view to impress the critics and has proved it too as it has been trending since the last month release. But apart from its good optimization, it is suffering from few glitches and bugs that need to be fixed so that to experience a heart throbbing game without any interruption. 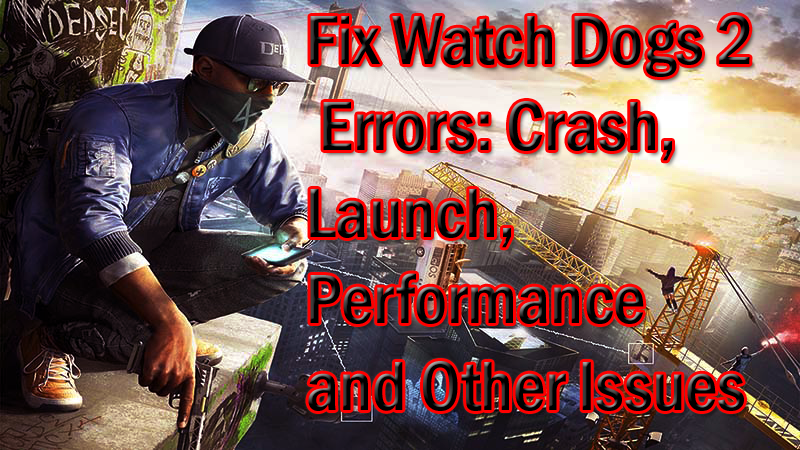 Read further to know how to fix Watch Dogs 2 Errors, such as crashes, launch errors, FPS drop, stuttering black screen etc. 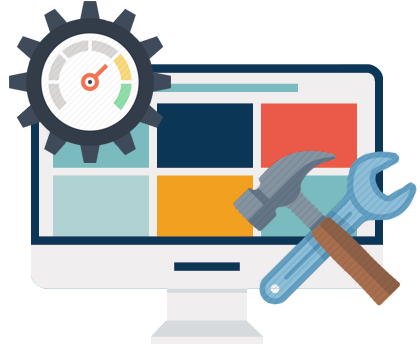 Here is a list of workarounds, solution for crashes bugs and other glitches. If you are unable to play the game and that makes you probably annoyed, don’t worry. You have paid 60$ for the game now just spend few minutes and scroll down further to know how to fix this errors easily.Before that make sure that your PC meets the minimum requirements of the game. Below are some Minimum recommended specifications that allow you to play the game, If you are equipped with these then go further and fix your issue right now. Windows 10, Windows 8.1, Windows 7 SP-1. 1. Reinstall Uplay, this might work for some of you.If you have Bit Defender installed on your PC then turn off Active Threat Control. 2. Launch the game as administrator. 2. Open Library and click on Properties. 5. Steam will automatically check for the missing file, if any. If nothing happens then try re-installing the game. Random crashes appear and some users report that they are not able to play the for more than 20 minutes and the game crashes. While some have encountered a crash every time they tried to launch the game, others experienced a black screen. To fix this use the following tweaks to your Game to so that you can enjoy an interrupted game. 1. Ensure the latest GPU driver is installed on your PC, compatible with Watch Dog 2. 2. Also, set a lower resolution before launching the game and afterward change it to your desire when you are into the game. 3. Crashes are possible or the game might not start, if your video card is connected in Nvidia/Mirror mode to some AV systems. Try disabling this mode or disconnect your PC from any secondary device. 4. If you are playing your game installed on an external hard drive, try re-installing in the internal drive. 5. If your game is being crashed and it’s installed on an external hard drive then you should try installing it in the internal drive (default steam directory recommended). It’s not a permanent fix but for some users, this seems to have done the trick. 6.If you are using AMD, you can go to “Catalyst Control Center”, go to “Games” tab and disable “ AMD Radeon Dual Graphics”. If you are running any third party software in background. Stop them or disable them. Use your default clock values if you are using an overclocked GPU. For Windows 10 users, if troubleshooting didn’t give you any results and still struggling with Lower FPS, then you should disable Game DVR which might fix this issue. If you are getting a blue screen (BSoD) and your PC crashed with an error code 0xa0000001 then unplug your gamepad, start Watch Dogs and then replug. If still your issue isn’t fixed the you should disable your graphics card SLI or crossfire. 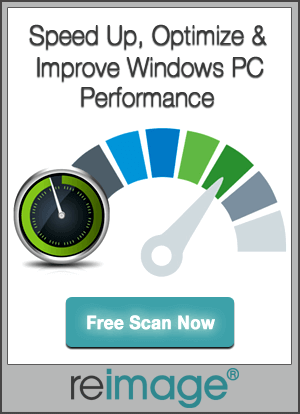 Make sure that your graphics card is not overheating and has the latest drivers installed. 1. Open the installation folder. 2. Select the easy anti-cheat. 3. Run the executable(.exe) file. 4. Select Watch Dogs 2 from drop-down menu and click on repair. A dynamic link library (dll) is the collection of small programs which can be called any time when needed by a larger program running on a computer. Sometimes it may happen that when you uninstall some program a dll file gets removed and now while opening Watch Dog 2 you can a dll file error, then simply download that dll file. There might be some users facing connection issues and sometime a display error message “Unrecoverable Error”. Users you don’t need to worry, just have patience. Ubisoft have announced that they are looking into the matter and monitoring their servers so as to remove this interruption. Hope that these tweaks have helped you and now you can play your Watch Dog 2 and enjoy being a hacker. How to Fix Watch Dogs 2 Errors: Crash, Launch, Performance and Black screen, Low FPS and some other issue have been fixed in this blog.